We have a lot to talk about, so plan on 90 minutes. The call will be recorded, if you can't make it live. We are plannning a A.I.R.S. (Anti-Imperialist Revolution Summit) in Minneapolis/St. Paul for Memorial Weekend. We will also give updates on this weekend. He needs to change his position on Venezuela. We Berniecrats were embarrassed by his tweet on Saturday and were discussing it at a rally. Jimmy Carter certified Maduro's election and says VZ has the most legitimate elections in the world and that Marduo is the most legitimate democratically elected leader in the world. Greg Palast says the opposition is based on "white supremacy." You are white and so am I. I don't want to be aligned with white supremacists. Guaido belongs in prison for life for his crimes against humanity. Maduro has done in VZ what Bernie promised to do here. If Bernie is against Maduro, he's against everything he pretends to support. VZ had received 933 tons of legitimate humanitarian aid from honest countries in the last week. Even the Red Cross told VZ that the USA aid was not humanitarian and not to accept it. Bernie needs to fix his position because people on FB are talking about holding back their donations until his position changes. He'll still get donations but not anywhere near as many as he would get if he came out in support of Maduro. Thanks so much for reaching out, and for your important question regarding Bernie’s stance on the complex and evolving situation in Venezuela. We apologize for the delay; we’ve been working around the clock to respond to the thousands of emails we receive each day. As a larger issue, Sen. Sanders opposes the U.S. pursuit of regime change, the unintended consequences of which have created turmoil throughout the world. Again, we are sorry for the delay in responding to you. Don DeBar, journalist and engineer for Cindy Sheehan's Soapbox recently traveled to Cuba and, among other things, he sat with "Xochi" (her revolution name) who recalled her time as a fighter in the Cuban revolution. Speaker 1: Are you tired of the same boring and unhealthy diet of corporate media propaganda and the distraction du jour? 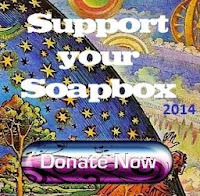 Your antidote is here, at Cindy Sheehan's Soapbox! Real, revolutionary, and relevant news and talk, with fascinating and brilliant guests. Speaker 1: Prepare to be informed and motivated with your friend and host, Cindy Sheehan. Cindy Sheehan: Welcome back to the Soapbox. I'm your host, Cindy Sheehan. Cindy Sheehan: Today, we chat with Peter Phillips, who's been on the show before. Peter is a professor of political sociology at Sonoma State University, and he's the former director of Project Censored. So stay tuned and we'll be back with Peter, and he'll be talking about his latest book, “Giants: The Global Power Elite.” So stay tuned, and we'll be right back. Cindy Sheehan: Peter Phillips, welcome back to Cindy Sheehan's Soapbox! Peter Phillips: Well thank you very much for having me back! Cindy Sheehan: Oh it's nice to talk to you again. It's been a couple years or so. And thank you for reaching out to me. Cindy Sheehan: Before we get started, reacquaint our listeners with a little bit about yourself. Peter Phillips: Well, I'm a professor of political sociology at Sonoma State University for the last 25 years, and for about half that time, I was director of Project Censored, and put out 14 annual yearbooks on the most important news stories that I've covered by the corporate press, and then for the past several years, I've been involved with Project Censored in doing the Project Censored radio show on Pacifica Network, which was a lot of fun, with my co-host Mickey Huff, who's now the director. Peter Phillips: I kind of have retired from a lot of the Project Censored work, and really gotten back to my original research interest, which is elites and power ... which I teach classes in as well ... and my new book is called “Giants: The Global Power Elite,” which is about the top 300 players in global capitalism today, and the impacts that they have on the world, not only who they are, but the amount of money that they control. It's massive. Cindy Sheehan: Right. And that's what we're going to talk about today. Cindy Sheehan: There's a question that it says, “Who holds the purse strings to the majority of the world's wealth?” and that's a question I believe that, you know, answering ... I'm sorry I haven't read it, but I did read some reviews and things like that about it, but ... is this the question you answer in the book? And why is it significant? Peter Phillips: Well, essentially, we're talking about capital money, and how it's invested worldwide, and it's concentrated ... very highly concentrated. We know that there's a great inequality in the world ... lots of people know that ... but the degree to that that it's occurred, particularly in the last decade, is just amazing. Peter Phillips: There are 17 giant investment companies .. that's where the term “giants” come from ... and these are companies that have over a trillion dollars of investment capital. Peter Phillips: Now, think about a trillion. A trillion is a thousand billions. So that's a lot of cash. And they're representing the wealth of the top one-thousandth of 1% ... the 2,000-plus billionaires, and about 36 million millionaires ... and then just generally, they handle money for pension funds and things like that ... but it's concentrated in the 17 giants who collectively, in 2017, had 41 trillion dollars worth of capital that they were managing. Peter Phillips: So it's a very small number of people ... which, we identify all of them, by name and who they are and their business affiliations and where they went to school, and their private wealth, and their policy groups. So that's a first. Peter Phillips: But more importantly, that concentrated wealth is impacting ... and it's protected by governments, the intelligence agencies, the American NATO empire worldwide, and it's protecting the free flow of capital, and capital investment. Peter Phillips: Managed just by these few hundred people ... and that wealth, their biggest problem is that they don't have adequate investment opportunities to guarantee a return. So they end up doing speculative investment, like the subprime mortgage loan problem they got into a decade ago that practically bankrupted the entire system, and if it hadn't been for the central banks worldwide, and the federal reserve in the US, bailing them out with trillions and trillions of dollars, we would've had total economic collapse. Peter Phillips: It's inevitable that we're gonna have those kinds of problems, ‘cause you can't continue to concentrate wealth and find good investment returns forever. I mean, it's just not possible. Peter Phillips: So governments help out in that regard. One of the policies that western governments have implemented is a austerity ... that means they spend less money on people and humanitarian concerns, and allow greater investment by private interests into public resources. So whether it's water rights, or freeway systems, or ... they allow the privatization of literally everything. Patent rights, I mean, just ... anything that could offer return could be privatized. And we're seeing that very massively. Peter Phillips: We're also seeing the privatization of war, and war is another way that capital can be used to guarantee it'll return to these investment companies. Peter Phillips: So, the US has 800 bases worldwide, in cooperation with NATO, is working in Africa, we've got troops and training troops ... and military actions going on in 140 nations worldwide. Peter Phillips: That's not to protect the United States from terrorists or the people here. I mean, that is to protect global capital's penetration anywhere in the world. Peter Phillips: And there's to be no resistance. So if the government is resisting profit-making and capital-penetration, it's time for a regime change. And the US is getting very good at that. Peter Phillips: So, Qaddafi was taken out primarily because he was trying to sell his oil and encourage other African nations to sell their oil and gold. And that created a conflict in Europe and the US, and so they took him out. They created a resistance movement, and funded it, and then went in and did what they call “humanitarian intervention”, and now Libya's in chaos. Peter Phillips: But that is war no behalf of global capital. And I think what we can really look at ... going back to 9/11, and the justification for the invasion of Afghanistan, and then Iraq, and the wars in the Middle East ... have all been about revenge and protecting us from Al-Qaeda and terrorism, but terrorism is primarily people who are resisting capital penetration and military control in their own homes, in their own communities. People resist, we call them terrorists. Peter Phillips: So that's an on-going problem with concentrated wealth in the world today, is that it is maintained ... and a big part of that is through war. Peter Phillips: And so we have permanent war, and people are dying everywhere, and mass inequality occurs, so that now we have the top 20% owning 95% of all the wealth, but it's the top 1% that own half of the wealth in the world, and the bottom 80% of the people live on $10 a day or less! [crosstalk 00:09:22] people live on $3 a day in the world, and a quarter live on $1.50. Peter Phillips: So of those billions of people, 30 thousand of them die every day from malnutrition and starvation. Peter Phillips: So there's this massive inequality, and a massacre of people daily, from lack of good nutrition, when there's more than enough food in the world to feed all of them. A third of the food in the world is thrown away, because it's not deemed profitable to sell it! Peter Phillips: So we have really become a non-humanitarian society, and capitalism is making that worse by allowing the continued concentration of wealth in the hands of fewer and fewer people, and encouraging and protecting those returns, and encouraging those returns politically, militarily, and, through laws, trans-nationally! Peter Phillips: So the world economic forum is where the big capitalists get together every year, and they all meet each other, and they knock around, but there's policy groups ... like the counsel of thirty ... which I call “the Executive Committee of Global Capitalism.” This is 33 central bankers, big economists. 32 of them are men ... there's one woman. Peter Phillips: I call them the Executive Committee of Global Capital, and those 32 people are definitely included in my list of the most powerful people, in terms of world power elites. Peter Phillips: But there's two other advisory groups that are very important as well: the Trilateral Commission ... which was originally Rockefeller-funded in 1973, and it has representatives from 40 nations. There's, like, 400 people that are on it. None of them are in government. In fact, you can't be in the Trilateral Commission and be in government in your country. So they are business leaders. It's all privately managed. They meet annually in New York, but then they meet regionally in Asia and Europe and Americas, and they're in constant communication, putting out constant reports of what they believe the policy for capitalism needs to be. Peter Phillips: One of the reports of 2015 was about the return of the Cold War containment with Russia. Because they were saying that Putin was misbehaving, so to speak, and that he was seeking to do his own empire again, and so that was a justification for ... what we've seen now is ... expanded military saber-rattling with Russia, conflicts all over the world ... and they have openly said in that report that they didn't think we could work with Russia unless there was a change in government. So they were calling for a regime change. They want Putin out. Peter Phillips: And they're salivating, because the capital would love to penetrate Russia. We would love to get into those oil supplies and those gas supplies and the mineral wealth that's widespread in the Russian country. Peter Phillips: It's massive amounts of possible investment opportunities that they're very much interested in seeing capital penetration there in a much bigger way. Peter Phillips: They work with the Chinese, the Chinese are allowing some capital penetration, but one of the big stumbling blocks right now is these tariff things that have happened, but the tariffs are really a pressure to make China allow capital investment into their companies and there inside China, above 50% of a company's value. So the major investment groups, they're very interested in China, and in being able to invest there, and so there's pressures to have that kind of opportunity, as well. Peter Phillips: So what we're looking at is global capital controlling the world, creating and building itself on wars, and all of us are negatively impacted by life's reduction of opportunities, decrease in public resources that we could access, and wages that are going down because we're competitive with the entire world. Peter Phillips: So we're in a really wrong-track situation, which Chris Hedges and others have called sort of a state of fascism, or a neo-futilist, where the corporations are like the kings and royalty in the Middle Ages, and are now so strong that it's a futilistic-type society. Cindy Sheehan: Peter, you said that there were three organizations. You mentioned the Counsel of 30 and Trilateral Commission. What's the third? Peter Phillips: The third one is the Atlantic Counsel. Peter Phillips: Again, a private organization, funded with money from corporations and foundations, made up with representatives from the NATO nations, with a high emphasis on security and protecting global investment. Peter Phillips: So, we looked at the Executive Committee of the people there, the 35 there, and they're half major investors, or working with one of these giant affiliate investment companies, and/or they're security experts in some capacity. A lot of prior military people, but high-level security operatives. Including private military, like ... we all know about Blackwater, now called Academi. Peter Phillips: And is the second largest private employer in the world behind Walmart. Peter Phillips: So they do security, they do private military, they can do kill and invasion raids in countries protecting corporate resources, they can create green zones, protecting corporate employees anywhere in the world. They guard banks. They were the ones with the dogs up in Dakota, attacking the people protesting the pipeline there. Peter Phillips: No, they're wrong! There's 250 trillion dollars worth of wealth in the world. Cindy Sheehan: Yeah. But this was back in '08. I have no idea. I thought I was right. Peter Phillips: Even then, they were wrong. Cindy Sheehan: It seems like their only purpose of existence is to create wealth for themselves. Peter Phillips: Well, the purpose ... I mean, capitalism is like riding a bicycle. It has to keep moving forward, or else, if you stop, you fall over. Peter Phillips: And that's called “stagnation,” and that's a depression, and it could be worldwide, and it could be quite catastrophic. And for the people on the bottom, instead of 30 thousand a day dying from starvation, it could be hundreds of thousands. Peter Phillips: And combining that with that ... what we've looked now, at maybe what, 12 years to turn CO2 around, and try to accommodate the catastrophic change of the weather and the global environment. That's not happening under capitalism. They're just gonna keep pedaling forward! If green investment's profitable, they'll do it, but that's not the emphasis. They're still burning, coal, they're still burning gasoline, and encouraging that capital return that they get from those materials. Peter Phillips: So we're faced with environmental collapse and economic collapse, perhaps simultaneously, sometime within our immediate future. We're not talking here 100 years from now, we're talking a decade from now. Within our life expectancies. And for a young person, for sure within their life expectancies. And for their grandchildren, certainly even more so. Peter Phillips: At the end of the book, we have a letter to the global power elite, and we've identified who they are. Say, “Okay, we know who you are. You are in positions of power that you could change global capitalism, in terms of its continued concentration of wealth. And you could make some changes that could affect the environment. And you really need to do that, in the capacities that you have, if you think that your grandchildren are gonna have grandchildren.” So we're appealing to them to make the changes that are necessary. Peter Phillips: I mean, they believe that continued capital growth is gonna solve the problem ... that we'll grow ourselves out of global inequality ... and it's just not happening. It's going the opposite direction. Peter Phillips: Well it's gonna trickle down. Cindy Sheehan: Oh, well, yeah. That's never happened. I mean, I remember Reagan. Cindy Sheehan: So the thing to me is, this wealth has to be positively redistributed to stop this. Peter Phillips: Oh, absolutely. We say there needs to be a river of capital flowing down to all the families in the world. Cindy Sheehan: But they're so greedy, they wanna hang onto that. The goal of capitalism, the root word is “capital,” and that's what they care about. And that's what their goal is. To have everything. Not just to have their share, but to have everything. Cindy Sheehan: Chavez called these people “the squalid ones,” the “escuálidos”. How do they even have any humanity to appeal to? What could be positive steps that we could take today, Peter, to make sure that that happens? Peter Phillips: Well ... I wrote this book to identify specifically who these people are. So the 389 people listed in the book are the central core managers, protectors, and facilitators of global capitalism worldwide. Peter Phillips: We've seen protest groups in front of Larry Fink's house, his apartment on the upper west side of New York. He's controlling six trillion dollars of wealth through BlackRock. So environmental groups have been protesting outside of his apartment, him and Jamie Dimon's both. But they're just two of these 300 people. They need to be influenced and changed. ‘Cause they wanna continue to privatize everything, including social security. Peter Phillips: There'd be massive civil unrest. I mean, if there's an economic depression worldwide, the civil wars and the unrest that'll come out of that will be immense. Peter Phillips: And millions and millions of people will die. Cindy Sheehan: And then these people have their private armies already. Peter Phillips: They do, and I think sometimes they say, “Well, I could be protected, or I can go buy land in New Zealand and nobody's gonna bother me” kinda stuff, but ultimately, it's gonna reach worldwide. Peter Phillips: And like Bezos (Jeff of Amazon) has invested in SpaceX, and maybe he thinks he's gonna go colonize Mars or something. Cindy Sheehan: Oh my goodness. Peter Phillips: But that's insane. It would destroy the world for a few. That's something that we can't allow to happen. 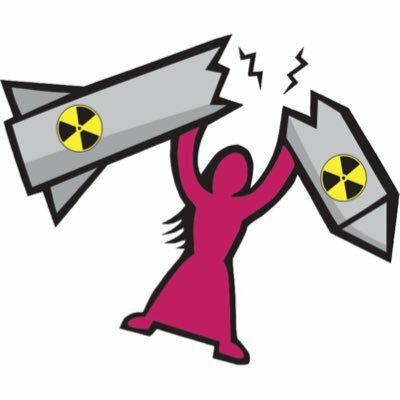 Cindy Sheehan: Well, we're almost out of time, but I always remind people that these war ... they always say, “Oh, the US hasn't won a war since World War II.” Well they're not meant to be won. They're meant to be continuous. Right? Peter Phillips: They're meant to use up capital and give capital return to elites. Cindy Sheehan: And another question I had for you is, how does the figure of Donald Trump play into all of this, as a capitalist himself? As a so-called business man, how do you think he has affected this? Cindy Sheehan: ‘Cause we saw this concentration of wealth ... I read that between January of 2016 and January of 2017, the number of people with as much wealth as half of the world fell from 62 to eight. And I know that was during the Obama regime, and I know that ... like you've explained ... that there's more powerful people in charge of these things, but how has he affected things? Trump. Peter Phillips: Well, presidents are functionaries for the global power elite. I say that quite openly, because all the presidents ... even going back to Carter, and Carter didn't quite go along with all their agendas, so they were undermining him in a variety of ways ... the intelligence agencies were, on that ... but to protect concentrated global wealth is a president's top agenda. He's not gonna say that, but he has no other choice. And Trump has been quite good at that. I mean, he's lowered taxes, he's saved them trillions of dollars on taxes ... on tax reform bills. He's allowed the banks to reinvest in speculative investments, where Obama had blocked some of that after 2008. He's spending militarily. He's droning the world and killing people everywhere. So he's a functionary for elites. They're essentially happy with what he's doing. Peter Phillips: I'm sure they're worried about his irresponsibility and potentially getting us into a nuke war or something like that, but I think they feel like they've got enough control, in terms of the military and the functionaries there, that that won't happen. I certainly hope not. Peter Phillips: So overall, he's accepted by Wall Street and the elites because he's profitable. He allows them to keep going. The stuff about a border wall, things like that, I'm not sure they're necessarily opposed to that. Peter Phillips: They frankly probably just don't care. Peter Phillips: And they don't care about abortion, they don't care about some of the social issues. Peter Phillips: They care about capital. Peter Phillips: Under our current system, that's absolutely true. Cindy Sheehan: Definitely we need a different system. Peter Phillips: It's called “Giants: The Global Power Elite”, and it's under Seven Stories Press. People can order it online through projectcensored.org, and it's available at book stores all over the country. We just went to second printing, so that's exciting. The book is gonna come out in Spanish and Portuguese, Korean, and Turkish, at this point. Cindy Sheehan: Oh, that's awesome. Peter Phillips: So we're excited about that. Cindy Sheehan: Well, I wonder why. Peter Phillips: Nobody's talked about it or even criticized it at that level. Peter Phillips: But it's starting to pick up academically, and we're excited about that, and through word-of-mouth, and people reading the reviews and that, it's, I think, a very important book that has a who-dun-it kinda thing in it, and names people specifically who are involved. Cindy Sheehan: Great, Peter. I did transfer it to my Kindle, so I will be reading it, ‘cause I'm interested in stopping it. Peter Phillips: Well, we all are. Cindy Sheehan: I have grandchildren. Cindy Sheehan: I have grandchildren, and I want them to have a safe place and a secure place and a prosperous place to grow old in. Cindy Sheehan: So anyway, Peter ... and you said the corporate media, they're the propaganda arm of the global power elite, right? Peter Phillips: I call them “the ideologists.” Yeah. Cindy Sheehan: Peter, happy New Year, and it was so good to talk to you. Peter Phillips: Great to get to talk to you, Cindy. Thank you. Cindy Sheehan: Thank you for the subject and this book. It's inspired me to do more work in overthrowing the system. Cindy Sheehan: All right. Thank you. Bye-bye. Cindy Sheehan: That's the Soapbox this week, and as always, I hope you were informed and inspired for further action. Cindy Sheehan: That was our Soapbox number 348 ...now I am counting ... two more until a magic number of 350. Cindy Sheehan: So I'd like to thank my engineer, Don DeBar. I'd like to thank Peter Phillips for his work, and for his book, and for inspiration to dig into this topic further, and how can we overthrow these global elites, make a more fair and equitable society. Cindy Sheehan: I'd like to thank you for listening to and supporting the show. Please go to cindysheehanssoapbox.blogspot.com for links that are relevant to this program. Cindy Sheehan: I'm Cindy Sheehan, you've been listening to the Soapbox. Peace out for now. Speaker 1: Are you tired of the same boring and unhealthy diet of corporate media propaganda and the distraction du jour? Your anecdote is here at Cindy Sheehan's Soapbox. Real, revolutionary and relevant news and talk with fascinating and brilliant guests. Prepare to be informed and motivated with your friend and host Cindy Sheehan. Cindy: Welcome back to the Soapbox. I'm your host, Cindy Sheehan. 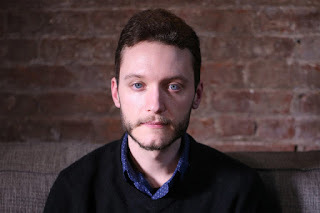 This week I bring on journalist and activist and political commentator Robert Fantina. We will be talking about the developments in the Marzieh Hashemi case. She was detained by the United States. She's a journalist from Iran. Then we'll get right into the urgency and discussion of what's happening between the United States and Venezuela. Really it's a U.S. continuing program of trying to undermine the Bolivarian revolution in Venezuela. So stay tuned and we'll be right back with Bob Fantina. Cindy: Robert Fantina, welcome back to Cindy Sheehan's Soapbox. Robert: Thank you, Cindy. I'm very happy to be here. Cindy: Well, thank you. On Monday the 21st we both appeared on Press TV and we were talking about the case of Marzieh Hashemi. Of course she's a journalist from Press TV, American born, living in Iran for the past 25 years, I think. Cindy: She came back to the U.S. to visit family and she was detained by the FBI. Well, subsequently, since we've been on the show and I asked you to come on Cindy Sheehan's Soapbox to talk about it, she has been released. Can you give us an update? Actually, I've been traveling for the last two or three days so I haven't been able to keep up to date on the current events. All my focus, when I did have time, has been on Venezuela. Can you give us an update on the Hashemi case? Robert: Yes. She was released because she testified. Now, they aren't saying exactly what she testified for, what case that was. One of the issues with her arrest and incarceration was that of course, there were no charges. She was held as a material witness but the government wouldn't say what case she was a material witness for. One of the things that was speculated was that perhaps the government was saying that Press TV should have registered in the U.S. as a foreign agent because of alleged propaganda, although that has not been confirmed. She was held for 10 days, testified and has been released. She is free at this point. Robert: She issued a statement to Press TV thanking Press TV and her supporters around the world for their efforts. She acknowledged that there were some events planned for her today on her behalf and she highly recommended people continue with those and participate in those because she said while she was one journalist was held, this is a threat that journalists around the world face. In the United States, which of course is always proclaiming its wonderful freedoms that are myths for the most part, foreign journalists are in great danger of being arrested in the United States. Robert: She isn't a foreign journalist. She is a U.S. citizen. She does have dual citizenship with Iran currently because she's lived there for many years. She is a U.S. citizen who was held with no charges for ten days to participate in a case that wasn't announced. In her statement she did recognize that risk that people face in the United States and around the world. Cindy: Also when I was researching her case for our interview on Press TV, I was looking at this. She was allegedly detained because they said she was a material witness and they needed her to testify before a grand journey or something like that. In my research, of course I'm not a legal authority or anything, but I can read. It said that this has been declared legal but it has never faced any constitutional challenge. We both know that since, especially since 9-11 the Constitution in the United States has been null and void, where before 9-11 if you had a lot of money or influence you can certainly get around its provisions. Cindy: On the face value of the Constitution it doesn't seem like that should be constitutional. In fact, you can't hold people without charging them for a crime. Robert: Right. She was never charged with anything and as you said, this is legal because a law has passed saying it can be done, but it has not as yet had a constitutional challenge which it probably would not stand up to because where is due process here? The idea of arresting anybody who has not committed a crime, not charged them with anything, just so they can testify in some unrelated case, unrelated because there's no relation. The key to it is I guess there's nothing to relate it to, but the whole concept is ludicrous. The fact that this happens in an allegedly or supposedly free country makes no sense. Robert: Additionally, Hashemi's spokespeople said that she would have been willing to testify if someone had issued a subpoena, asked her to come in. She would have come in and testified but they said she was a flight risk based on nothing but her Iranian citizenship. They said that she would refuse a subpoena and that was based on nothing except the opinion of the government officials. Cindy: Mm-hmm (affirmative). Well, definitely it smacks of harassment. Another thing that I've pointed out in our interview was that that there's two supposed qualities that set the United States apart from the rest of the world and that is freedom of the press and freedom of religion. Both of those things were violated in her detention. They foreceably removed her hijab and then they refused to feed her halal food in conformance with her religious diet. I've been in jail a lot of times. They just hand you the bologna sandwich and if you don't eat your bologna sandwich then you're eating nothing. It is a horribly oppressive system and both of those things are supposed to set the United States apart, like I said, were profoundly violated in Marzieh's case. Robert: Yes, this is the case. You bring up a very interesting point. The United States spokespeople talk about how the U.S. democracy is the envy of the world. They talk about freedom of speech. They talk about freedom of the press. They talk about freedom of assembly and so on and so on and so on. And yet these freedoms are granted very selectively, depending on who is requesting them, who wants to speak or write. Freedom of religion is something that the nation supposedly founded on and yet as we see it in this case, but in so many other cases, that Islam is certainly discriminated against in many ways. Robert: Donald Trump's ban of travelers from mostly Muslim countries, he said as a candidate that he was going to do that until we figure out just what's going on with Muslims. There's nothing going on with Muslims that's not going on with Catholics or Mormons or Presbyterians or atheists or anybody else. The U.S. has decided to demonize Islam and all of its followers. The case with Marzieh Hashemi is certainly an excellent example of that. As you pointed out she was incarcerated. She was incarcerated completely unfairly and unjustly. Her religious beliefs were violated. She was unable to wear her hijab. She was not given food that was acceptable for her as a Muslim. Cindy: Right. One thing that I'd like you to cover that you pointed out in the interview was her groundbreaking work exposing U.S. lies about Iran and how oppressive they are to women, et cetra. Robert: Yes, yes that's what I have talked about. As I mentioned on that other interview. I visited Iran in the summer of 2017. I am hoping to go back next month, as a matter of fact. We are told in the United States and in the west that Iran is a ... I visited Iran, they say Iran is a repressive country that women don't have equal rights, that people live in fear, that the military's ever present, the Islamic Republic Guard Corps is all over the place. Robert: I was in Tehran for a few days in Mashhad, a city in the northeastern part of the country for a couple of days. During that time I saw, Tehran is like any major city in the world you might visit. It's busy. It's crowded. There's an excitement to it that I find in Rome and wherever else I've been. I saw one police officer in that whole time. He was directing traffic. I saw two soldiers who were awaiting a flight in the airport in Mashhad. They were not armed. The only time on that whole trip I saw anyone armed was at the airport in Germany when I was changing planes. There was an armed German soldier there. In Iran I saw none of that. Robert: There were women all wearing hijabs, certainly, because that's the law in that country but they were driving alone with other women, out with men. They were walking the streets alone or with other people. They were wearing dresses, jeans, the same clothes that you would see anybody wearing anywhere else. I spoke at a conference. There were Iranian women speaking at that conference. It was at the University of Tehran and there were ... I met a number of university professors there, some of whom were women. Robert: In Iran women, from my observation certainly, are doing all the things that they want to do and that they have all the rights that men have. As I mentioned in that other conversation, the U.S. has full diplomatic relations with Saudia Arabia where these things are simply not true. Women are definitely second class citizens in Saudia Arabia. That is not the case that I observed myself in Iran. Cindy: Right, and also a country you describe where everybody's walking around with guns and stuff, two countries come to mind. I have been in those airports in Europe where it seems like the security walking around with submachine guns or something, I don't even know what they are but they look really scary, are the United States and Israel. I've been to Israel. There's soldiers walking around with their machine guns all over the place. We were told, "Don't look them in the eye." I'm like, "Why, what are they going to do? Are they going to slaughter us if we look them in the eye?" Robert: And certainly in the United States where there's more gun violence than any other industrialized country in the world, the U.S. has the highest rate of civilian deaths as a result of guns of any industrialized country. We see the violence and the guns there but we don't see that in Iran, so why the U.S. chooses to demonize Iran is simply for political reasons. You mentioned Israel. I think Israel's one of the main reasons. The U.S. wants Israel to have complete homogeny in the Middle East and Iran threatens that because Iran is an increasingly powerful country. It's increasingly influential to and lent assistance to Syria during the U.S. supported revolution there and the U.S. doesn't want that. Robert: Iran is a mainly Muslim country. That's one way that it can be demonized. U.S. spokespeople have said that Iran is the major state sponsor of terror in the world and yet the U.S., when the spokesman said that, the U.S. was bombing seven countries. Since World War II the U.S. has invaded or covertly worked to overthrow at least 30 countries and has been responsible for at least twenty million civilian deaths. Iran has not invaded another country since 1798. Now, which of those two countries could be considered the world's foremost sponsor of terrorism? Obviously it's not Iran. Cindy: We know the answer is the United States and probably most people listening know that answer. I want to ask you if you meant to say that the U.S. was helping the revolution in Syria, because it's not a revolution. Robert: It's not a revolution. Cindy: It's a regime change. The U.S. was hoping that they could do to Assad what they did to Qaddafi and Saddam Hussein, et cetra, et cetra, et cetra. Cindy: And our friends Israel. Cindy: And our "friends" from Israel. And I say friends in quotation marks. Robert: Certainly, certainly. The goal was to destroy Syria. Hilary Clinton in I believe it was 2012, during her term as Secretary of State, she received an e-mail from one of her advisors saying that it would be highly beneficial to Israel for the Syrian government to be overthrown and that's the course of action the U.S. should take and that is the course of action the U.S. attempted. But with help from Iran and from Russia, that plan was thwarted. Robert: And Hezbollah, yes, certainly. And each one of these, Hezbollah, Russia and Iran are demonized by the U.S. What are they doing? They're helping a legitimately elected government stay in power. And they're basically, Iran is increasing its defense capabilities which it has not only the right to do but a responsibility to its people. Certainly with the U.S. saber rattling and threatening Iran all the time and Israel threatening Iran, Iran should be strengthening its defenses. Cindy: Right. I think that's only logical and normal. Cindy: Let's go over to another part of the world. The United States has declared Venezuela as also a state sponsor of terror. We both know that since Hugo Chavez was elected in 1998 and declared that their latest constitution null and void and the people in Venezuela elected a constituent assembly to re-write the constitution of Venezuela. It was passed by a referendum in the country. They call it the Bolivarian Constitution, named aver the liberator of Latin America, Simon Bolivar. Cindy: Since that time Venezuela has made huge strides in improving health, education, housing, food. They have reduced income inequality in Venezuela where when Obama was president it was the biggest transfer of wealth between the poor to the rich. Here in the United States the income equality grew massively under Obama. Of course in Venezuela which has the largest amount of oil reserves in the world, Venezuela, it very, I want to arrogantly in quotes said, "that oil belongs to us and the proceeds need to go to the people of Venezuela, to help the people of Venezuela, not to enrich the oligarchy." Cindy: Since Hugo Chavez became president and slowly implemented these reforms in Venezuela there has been a dedicated effort to undermine the Bolivarian revolution in Venezuela. It didn't just start this week with Trump. Cindy: I want you to go ahead and comment on that. I didn't really ask a question. I just laid the groundwork or what's happening in this week. Robert: That's perfectly fine. The things you point out, the closing of the income inequality, the people taking control and electing a leader who nullified the U.S. sponsored and drafted if not written Constitution and set up a new way of doing things resulting in improved schools, improved jobs, improved living conditions. These are not things that the U.S. is interested in seeing. The U.S. fears certainly that its own citizens might see this and decide, "Well, can't we have that? Can't we have affordable higher education? Can't we have decent jobs? Can't we have better incomes? Does there have to be such a gap between the rich and the poor? Does there have to be a dwindling middle class while there is a expanding poverty class and a shrinking but extremely rich wealth class?" These are things that if people want to look at they could say, "well, Venezuela has taken control. The Venezuela people have taken control and maybe the people in the United States can too." This is very frightening to the United States. Robert: You also mentioned the oil. I remember when Iraq was invaded. Some people said, "What on earth is that country doing on top of U.S. oil? What business?" You know, facetiously. It was kind of the same thing, the U.S. attitude is, "Well, what is Venezuela doing with all U.S. oil?" Well, it's not U.S. oil, as the Venezuelan government has said. It belongs to Venezuela and the riches that will come from its refinement and sale belong to the people of Venezuela. This is very threatening to the U.S. which is so oil dependent that it needs to have control of all the oil in the world. Cindy: Right. They don't want just a little bit. They don't want their fair share. They want everything. Cindy: Besides, like you said, the threat of the good example of what people power could really do, they have one branch of government called People Power. Cindy: They have neighborhood councils. I've been in Venezuela and seen how the neighborhood councils work with the federal government to implement things in their neighborhoods and their communities, not like what the federal government thinks people should have. They actually interact with the people in these communities to get things done in these communities. I've seen a lot of people saying, 'Oh, it's because of oil. It's because they're selling it in gold not dollars or whatever." I really think that the threat of the good example, how socialism can work in a country when income is more fairly distributed is more of impetus for undermining the Bolivarian revolution than the oil is. That's just my opinion. Robert: And it could well be. You talked about the citizen and government cooperation in various areas and how the government works with the citizens to understand what they want and then to help them achieve it. That is something that is totally foreign to the U.S. despite any rhetoric about for the people and of the people and by the people. The U.S. elected officials, and I don't call them representatives are beholden to lobbyists. Cindy: Well, they represent some people but not the people that go to the polls and think they're electing representatives. Like you said, they're beholden to lobbyists. Robert: Right, right, lobbyists and those who donate to their election campaigns. I've heard not long ago that most elected officials in the U.S. spend at least half a day of their time on the phone with potential donors. Now, when you consider that it costs a lot of money to win or run an election in the U.S. which is not the case in other countries such as Canada, where I live now. If an organization's going to donate, say it's a so-called defense, a military contractor or a pro-Israeli group, if they're donating millions and millions of dollars to someone they want something in return, certainly. Robert: In order for those campaign dollars to keep flowing that representative, that official will give them what they want which is votes in a certain way. We see in the United States lobby organization writing legislation, giving it to members of Congress who then introduce it. This is just totally wrong. Cindy: They don't want to go back to the time when they had no power. Cindy: They've been educated and empowered which is something they don't want here. The powers that be don't want us educated and empowered here in the United States. Robert: Not at all. Part of their plan, I think, to prevent that is the expense of higher education and the cost of government student loans. You would think that the government would be interested in educating its people and allow them to have greater education, but that's not the case and so schools are very expensive. The government will lend them money to go to school but that's at a high interest rate so that once people get out of school they're not going to be politically active. They're too busy working two or three jobs trying to pay of their loans. Cindy: Not only at a high interest rate but it's the only kind of debt that you cannot declare bankruptcy from. Cindy: To me that seems fascist. It's banks loaning the money backed by the government. How fascist is that? Robert: It's the definition just about, yeah. Cindy: So anyway, in Venezuela this week, I don't know how to say his name, Guaido the person who Trump and Pence have declared the president of Venezuela, to me it's just like, Why? Bob, why is this happening? How can a president of the United States go on Twitter and say, "oh, this dude that nobody ever heard of, even in Venezuela, 81% of the people in Venezuela had never heard of him. How can he they just go on Twitter and declare that he's president. And other countries have fallen in line. Your country, or Canada has fallen in line with this. Cindy: Of course they're in the Organization of American States and Canada has always lined up against Latin America. So they're joined by Colombia. They're joined by Brazil and some other countries and the United States in recognizing this person as president of Venezuela. I want to say that Venezuela has, this is an important, important point to let everybody know. Venezuela's has been declared the most legitimate elections of anywhere in the world. Robert: It's far more legitimate than in the U.S..
Cindy: Oh, heck yeah. So really an illegitimate president of the United States is saying that Maduro who has been elected by the people in transparent legitimate elections is not the president. Trump is a dangerous moron in my case, in my opinion. Cindy: Now hopefully the military in Venezuela is saying, "We're supporting Maduro" and Russia is saying, "We're supporting Maduro." Russia, like we pointed out earlier, saved Assad and the sovereignty of Syria so I'm hoping that this will be successful in Venezuela also. Robert: I hope so. I definitely hope so. Let's look at a similar situation, a parallel situation hypothetically. Two years ago Donald Trump lost the popular vote by three million. Imagine if Putin and Trudeau and whoever else said, "No, Hillary Clinton is the legitimate president of the United States." How would Trump have reacted? How would his supporters in Congress and in the country react to that? "What business is of theirs? This is the way the U.S. works, the electoral college," et cetra, et cetra, et cetra. There would have been horror. It would have been shock and great indignation. Yet when the U.S. does that same thing it's acceptable. Robert: You may recall when Reagan was president he referred to Mexico as the U.S.'s backyard. Mexico is not the U.S.'s backyard. It's its next door neighbor. Venezuela is another neighbor, not next door but certainly a neighbor. Yet the U.S. sees the rest of the world as its backyard and it can do what it wants to in it's backyard. It has to respect what its neighbors want, but if it's its backyard it can do anything it wants. Cindy: It's just appalling, but I like pointed out earlier, since Chavez was elected the U.S. has spent tens of millions of dollars trying to overthrow that government. I don't want to be looked at as a crazy conspiracy theorist but it could very well be that the United States finally gave Chavez cancer, a very aggressive cancer. Robert: That's possible. They couldn't get rid of him any other way. Regarding the desire to overthrow, imagine again, the U.S., we talked about it supported and financed and trained rebels in Syria. It's doing the same thing in Venezuela. It has done this in many countries and in many countries it has succeeded in overthrowing legitimate leftist governments and supported brutal, brutal oppressive dictators. Robert: Imagine, well right now, you don't have to imagine, but there's a special congressional investigation, Robert Mueller who's looking into the possibility that Russia may have influenced U.S. elections. And yet the U.S. supports rebel groups. It finances opposition parties in foreign countries. The U.S. has always, always influenced and influence is a very benign word in this case, elections in other countries. Why isn't that investigated? Why isn't Israel's influence on the U.S., APAC, and the writing of legislation that's submitted to members of Congress. Why isn't Israel's influence in the U.S. elections and the millions of dollars that they spend, why isn't that investigated? Robert: Again, the hypocrisy of the U.S. never ceases to astound me. Cindy: It's legendary, it really is amazing. Robert: And now trying to overthrow and, as you said, for years trying to overthrow the government of Venezuela despite what the people want. 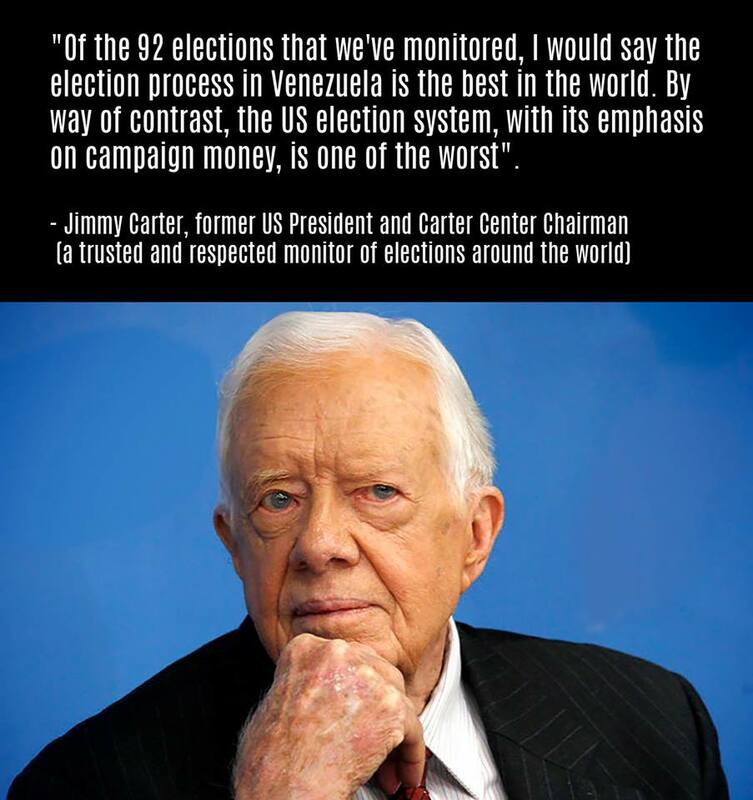 You'll notice in all these cases the will of the people, Syria, Venezuela, wherever, Nicaragua, Chile, all over the world, the will of the people is never a concern of the U.S.. The U.S., Trump will, they have excuses. They say we have to go in for humanitarian reason or, it's too leftist and people need to be free. The people of the United States need to be free.CIndy: The U.S. doesn't even care what we think so why should it care what other people in other countries think, right? Cindy: Bob, we're running out of time. This has been a great conversation and it's wonderful to talk to you again. Is there anything else you want our listeners to know? Robert: I support the people of Venezuela and I support the people of Syria and I support the people of Iran and I think we've covered it all today. Cindy: Well, Robert Fantina, thank you so much for agreeing to be on Cindy Sheehan's Soapbox this week and for taking time out of your day to do it. Robert: Thank you. It's always a pleasure, Cindy. Cindy: All right. Have a great weekend. Cindy: That was the Soapbox this week and as always I hope you were informed and inspired for further study. Please stay tuned to the Soapbox because the situation in Venezuela is developing and I'm sure we'll have a further future show on it and more information. As you all probably know, Venezuela is a cause that's very dear to my heart. As always I'd like to thank my engineer Don DeBar. I'd like to thank Bob Fantina for being on the show and you for listening to and supporting the show. Cindy: I am Cindy Sheehan. You've been listening to the Soapbox. Peace Out for now.